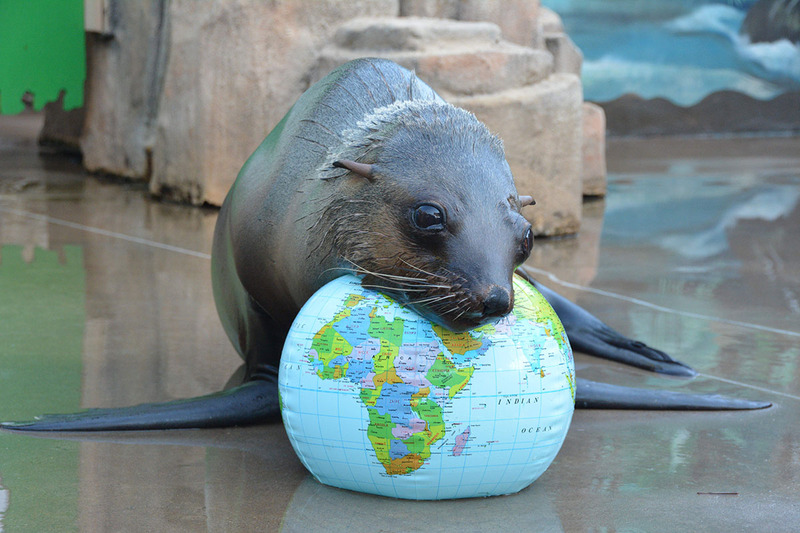 An important function of uShaka Sea World is the rehabilitation of marine animals found stranded along the KwaZulu-Natal coast. These stranded animals are cared for by dedicated staff in our specially designed rehabilitation centre. Once healthy, most of the animals are returned to the sea or, if this is not possible, they are given a home at uShaka Sea World. uShaka Sea World also provides specialised training to members of the public on how to care for stranded animals on the beach. 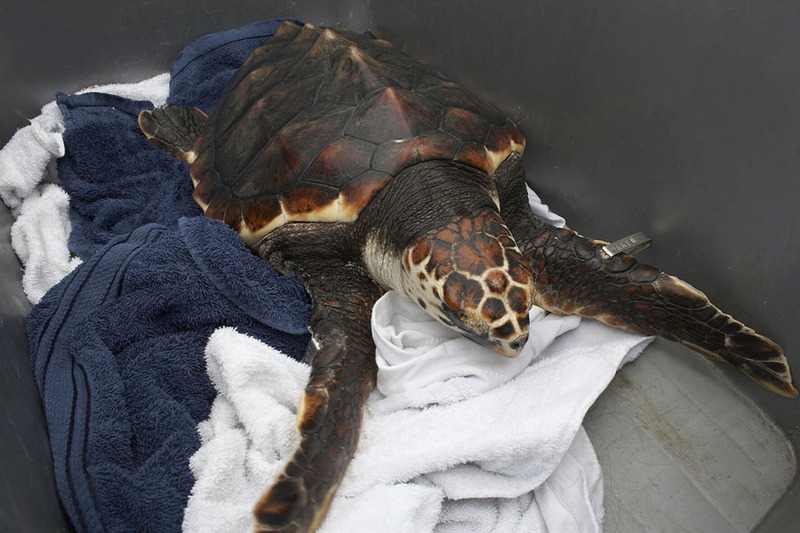 What to do if you find a stranded animal or download our Stranded Marine Animal Booklet. The staff of uShaka Sea World Dangerous Creatures exhibit are experts in the care of reptiles. They often rehabilitate snakes, crocodiles and other reptiles, which are brought into the centre by concerned members of the public. The seafood that we like to eat is in trouble. Worldwide unsustainable fishing has driven some fish populations to very low levels. The situation is no different in South Africa, where stocks of many well-known fish species have been severely depleted. The Southern African Sustainable Seafood Initiative (SASSI) informs the public about how their choice of fish for consumption can help determine the future health and productivity of our oceans. 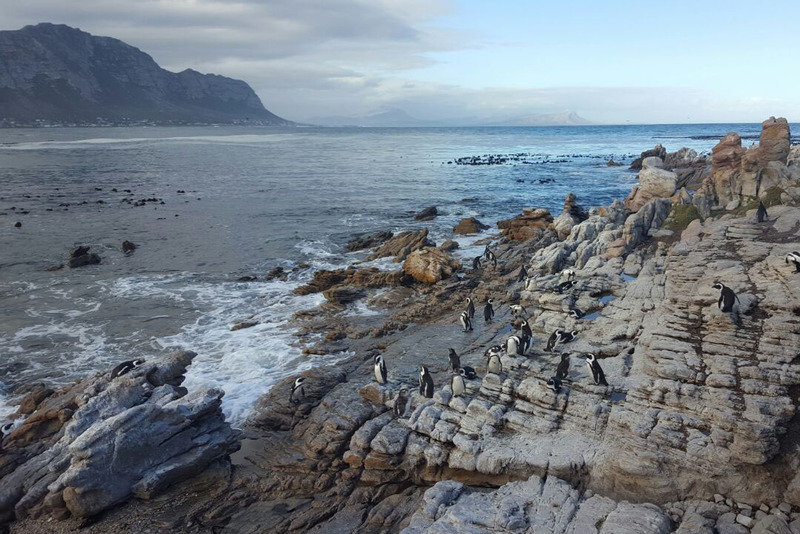 SAAMBR has actively supported the SASSI campaign since it was formally started by WWF-SA in 2004.
uShaka Sea World Education facilitate sustainable seafood courses for restaurants and fishmongers. Started in 1984, the Oceanographic Research Institute’s Cooperative Fish Tagging Project (ORI-CFTP), is one of the longest running citizen science projects in Africa. It involves the cooperation of anglers, who voluntarily tag and release their fish, and fishermen, who report, to ORI, the majority of re-caught tagged fish. 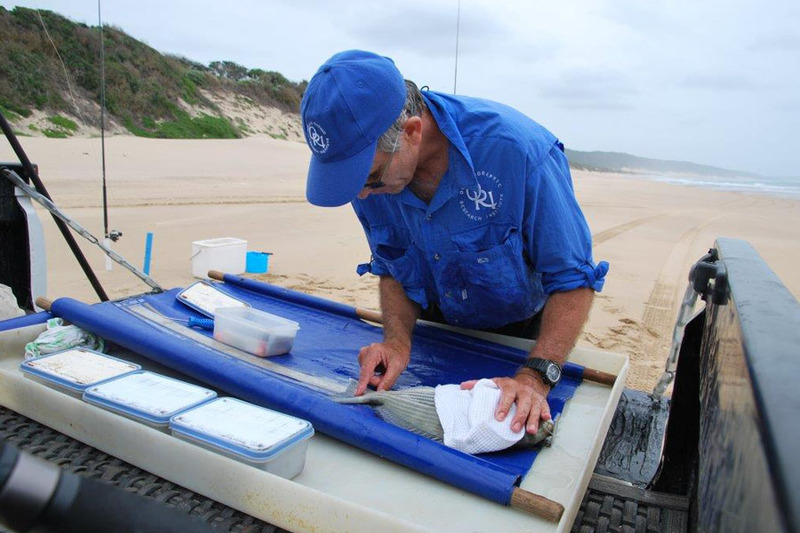 Information from the project allows scientists to learn more about the movement patterns, growth rates, mortality rates and population dynamics of our important linefish species. 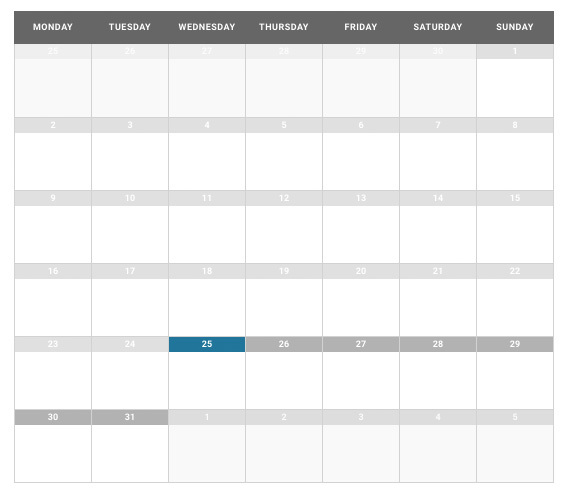 This valuable information is used by scientists and managers for policy and decision making. The project has also helped towards changing the ethics of anglers with regard to catch-and-release. This added bonus goes a long way to improve angler awareness about our marine linefish species, as well as contributing towards sustainable fishing. 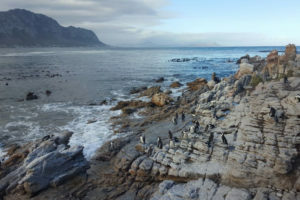 Scientists from the Oceanographic Research Institute have been involved in the research and promulgation of numerous Marine Protected Areas (MPAs) on the East Coast of South Africa. Read more on MPAs here. Environmental sustainability is critical at SAAMBR. After all, we need to practice what we preach. 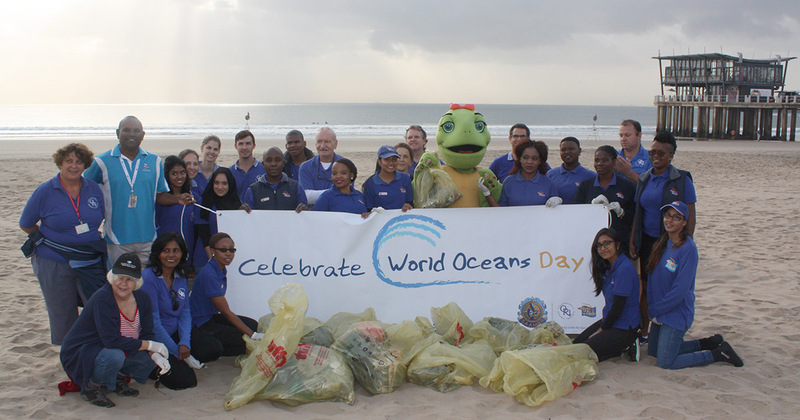 Started in 2007, the SAAMBR Green Team was initiated to integrate conservation into the daily operations of the organisation. 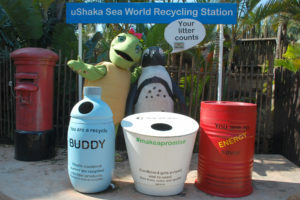 Made up of representatives of all departments, the Green Team has initiated the installation of recycling stations both in the park and behind the scenes, the placement of conservation messages in strategic positions (like the toilet doors), the installation of vegetable gardens and worm farms, encouraging car-pooling and supporting ‘plastic free’ initiatives. Born out of the Green Team, the joint SAAMBR / DMTP Sustainability Committee looks at site-wide initiatives. Examples of recent activities undertaken by the Sustainability Committee include a rain water harvesting system, and numerous energy saving projects. SAAMBR is proud to introduce Thandi, our latest Conservation Campaign mascot. Thandi (whose name means “love” in Zulu) is a shy young turtle. She loves young people, is passionate about the marine environment and troubled by the amount of litter on our beaches. 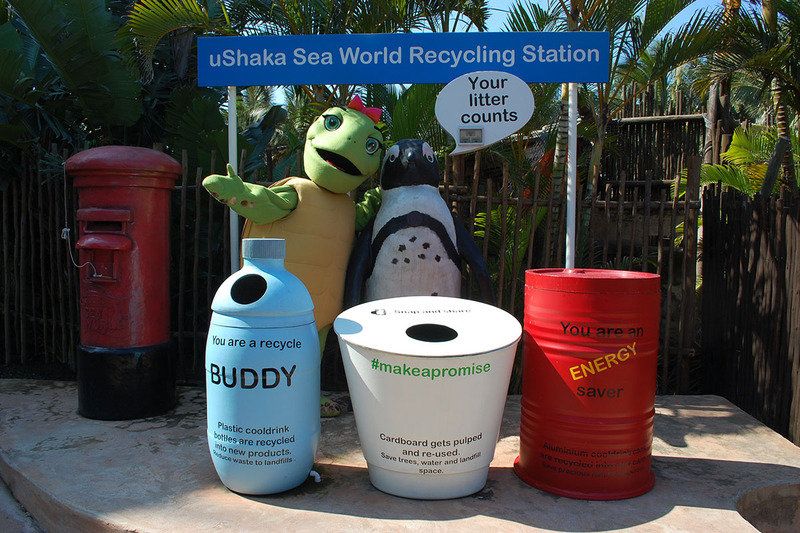 Thandi’s primary role is to inspire children visiting uShaka Sea World to place their litter in bins. Litter in a bin can be disposed of through the correct channels. Litter on the ground often ends up in the ocean where it poses a threat to turtles and many other marine creatures. Thandi wants to motivate all of us to make sure that our litter always goes into a bin, to save her and all of her ocean friends.